Esta reseña me hace especial ilusión. Principalmente, porque llega desde un portal de gran repercusión, pero también porque nace de la pluma de la editora y escritora Marian Womack, cuya opinión valoro y aprecio mucho. Challenger sobrevuela el Reino Unido. Si miráis por la ventanilla a vuestra izquierda, podréis ver su silueta veloz sobre los campos verdes de la campiña inglesa. 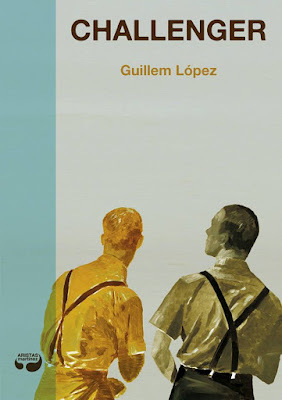 "López has achieved a great feat, inverting the modus operandi of Spanish genre literature. His novel represents, at long last, the normalization of the fantastic that Spanish sff has been waiting for, and that has been tried out by other young authors on shorter forms. At a meta level, the novel also contains another message: it forces the reader to consider that the ‘realist’ literary tradition predominant in Spanish letters has always contained the possibility of the fantastic in its DNA, no matter how deeply this has tended to be buried." Feliz, como un niño con transbordador espacial nuevo.